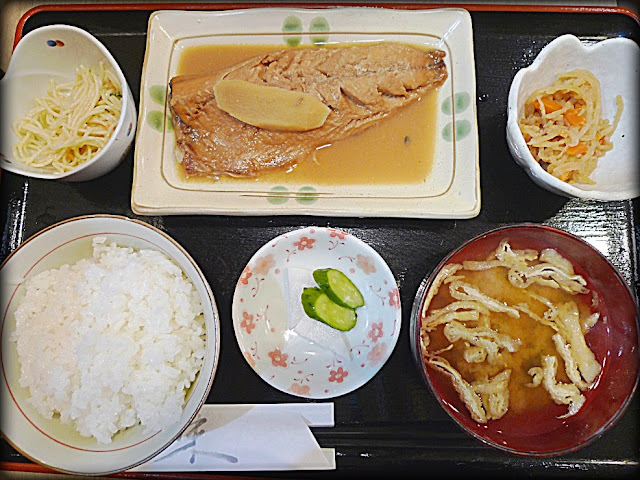 Today's lunch was Mackerel simmered with Miso Plates（788 yen） at "Kachan" in Kitasenju. A lot of rice, miso soup and two side menus came with this plates. Tasty simmer Mackerel went well with rice. 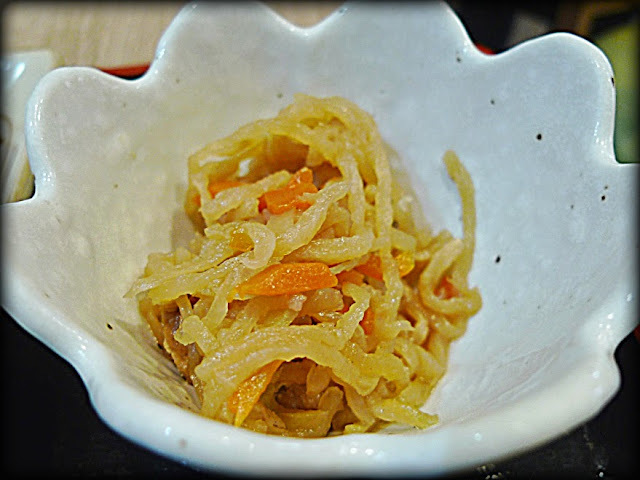 Simmered "dried Japanese Radish" with sweet soy sauce and soup stock. 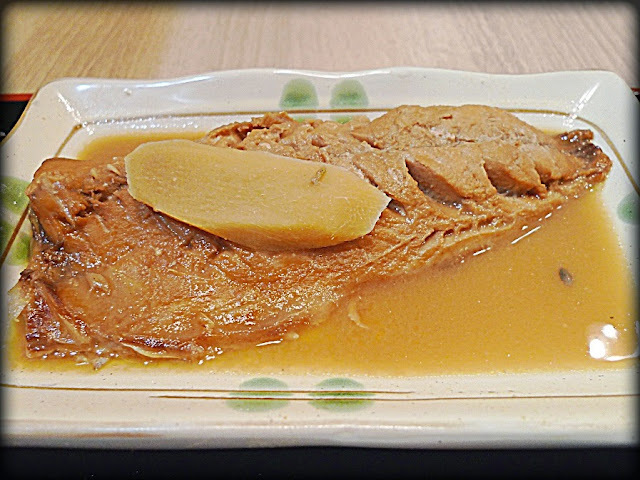 This restaurant has a wide range of Japanese palate menus like grilled saury, simmered Pacific Cod, Hamburg and so on. I was so happy to have reasonable Japanese plate set. There were a lot of customers when I visited this restaurant at around 13:00. I thought this restaurant is so popular around there. This restaurant wasn't fancy and fashionable but it was cozy. I want to come here again.